We call space the final frontier, and we may never truly know everything there is to know about the massive universe of which we are but a tiny part. Out beyond the Earth's atmosphere there are endless mysteries to unravel. We look up at the stars and planets from the surface of the tiny blue ball we call home and wonder...what is really out there? 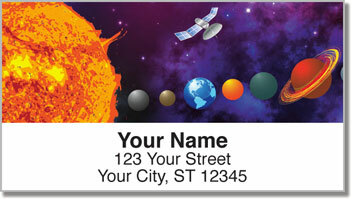 Solar System Address Labels feature vibrant images of our colorful galaxy. 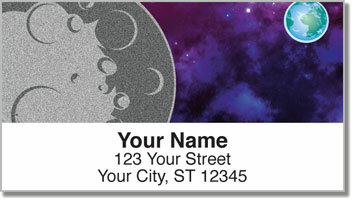 That includes designs featuring all of Earth's neighbors as well as our moon and the fiery sun. 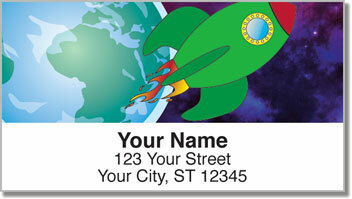 Use these labels for an out of this world way to mark your outgoing mail with your name and address. It will be extremely easy thanks to the convenient self-adhesive backing. 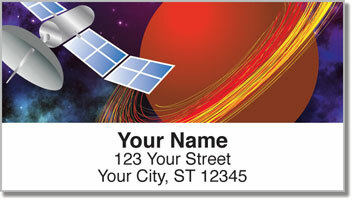 Order your very own Solar System Address Labels now. They're also available in matching checks!